North Carolina Emergency Management (NCEM) is pleased to announce the following vacancy for interns. 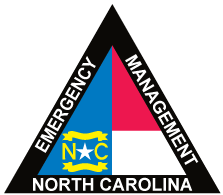 This vacancy is located at the North Carolina State Emergency Operations Center in Raleigh, NC. The NCEM Internship Program provides emerging professionals an opportunity to gain useful experience in the field of emergency management. Interested applicants should submit a resume, cover letter, and two writing samples to ncemintern@ncdps.gov. The cover letter should describe the reasons of interest in the position, and how the position will benefit you in the future. Any Bachelor’s or Master’s-degree seeking students are invited to apply for this position. All application packages should be received by Friday, December 7th at 5PM. Once all application packages have been reviewed, the most competitive candidates will be contacted for an interview. This position is a 12-week paid internship to take place during the term February 4 – April 26, 2019. The Radiological Emergency Preparedness Branch works with local emergency management officials and State & Federal partners to coordinate emergency response plans and activities in the unlikely event of a radiation release at any of North Carolina’s three nuclear power plants and the Catawba Nuclear Station along Lake Wylie in South Carolina. Task forces for each of the four power plants are comprised of emergency response officials, local law enforcement, first responders, and public health officials. These task forces meet regularly to discuss plans, procedures, and issues to ensure that those who are responsible for protecting the public are ready to respond at a moment’s notice. The intern will work with NCEM’s Radiological Emergency Preparedness staff and its Public Information Office to update the approved pre-scripted press releases and Emergency Alert System (EAS) messages for each of the four task forces. The intern will also assist in updating the NCEM REP webpage and creating a packet of pre-scripted social media messages. The ideal candidate will possess excellent writing skills, working knowledge of different social media platforms, and a strong interest in pursuing a career in emergency management.